A beautiful, recently resurfaced pool is a center piece of our camp. 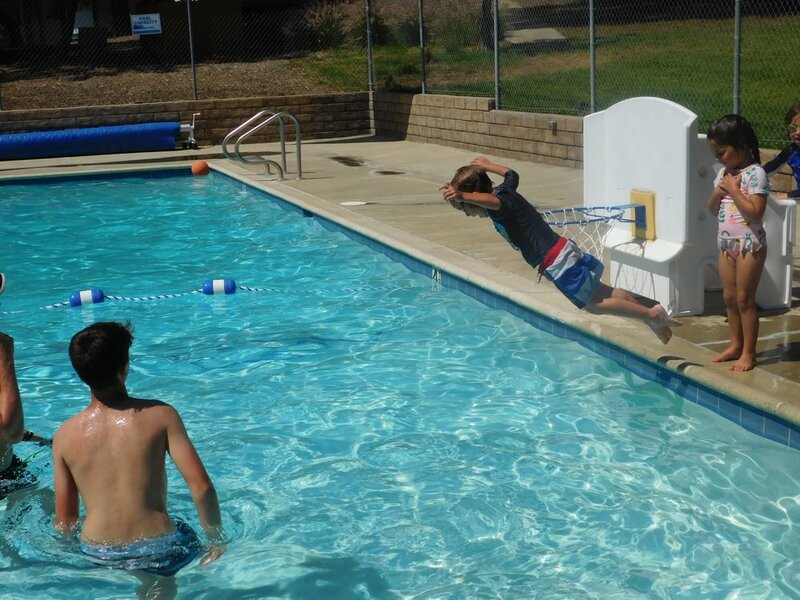 We consider swimming a fun and exciting part of our program, but it is safety that is our biggest concern. Of course, the pool is private and fully fenced. We also meet all the latest requirements regarding drains and hand rails. We have float ropes in place separating deep and shallow ends. A lifeguard sits in the lifeguard chair at all times while children are in the pool. Other lifeguards are on duty both on the sides of the pool and in the pool itself. We have regular training sessions with our lifeguards throughout the summer to review safety rules and to deal with any issues that may arise. 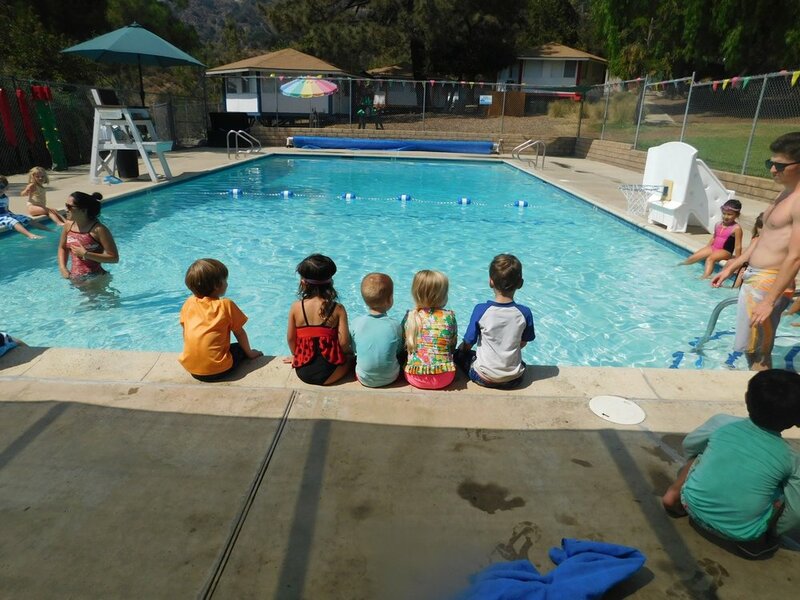 In SK-PreK, campers take swim lessons two to three times a week (depending on their enrollment), and work in small groups based on their abilities: Guppies, Frogs, and Sharks. 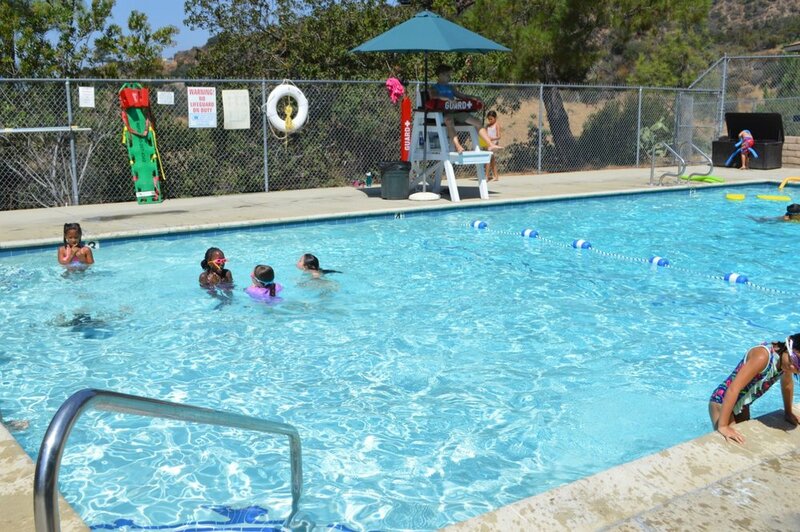 Each group is led by two swim instructors who have been specifically trained to work with 3- and 4-year-olds, and we maintain a close ratio of counselors to campers. The instructors use games, songs and other devices to help introduce basic techniques. Our goal is to help campers reach a point where they are water safe and water aware. In Summerkids, children are divided into age groups for swimming. On their first visit to the pool they are skill-tested and assigned to either the shallow or deep end. Although we do not give lessons to Summerkids campers, our swim counselors work with children who are not water safe to make them water safe. Challengers have the opportunity to swim at least once each day as a "free swim." 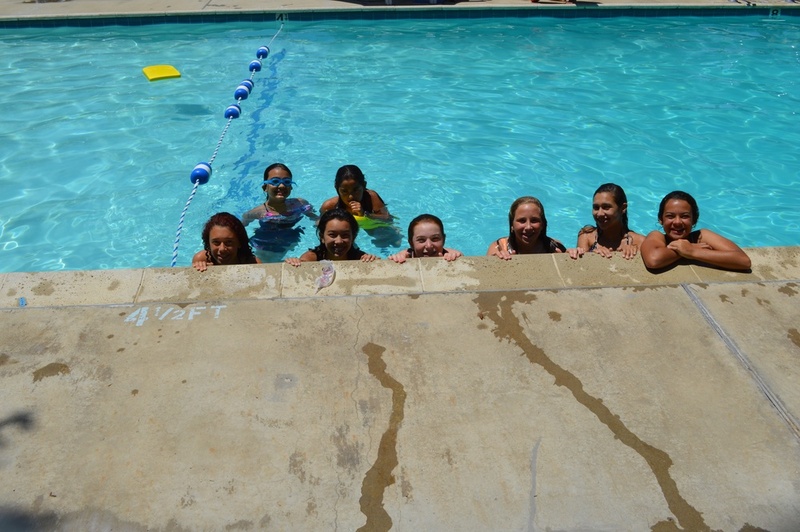 Like every other activity at our camp, we like the pool to be a choice---and fun.